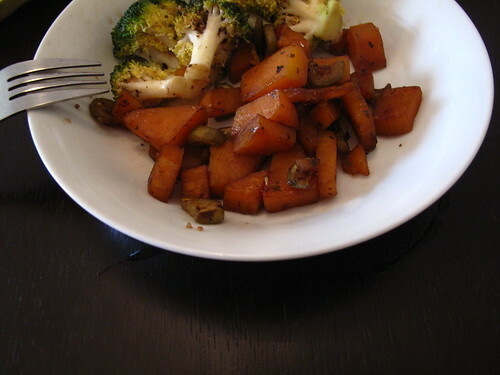 Sweet potatoes, champignon de Paris and broccoli for lunch. 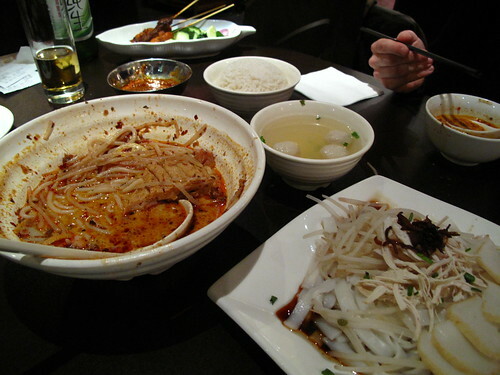 Off to the Malaysian restaurant to satiate some Singaporean cravings. Heh, trust me I wasn’t the one with the cravings this time. 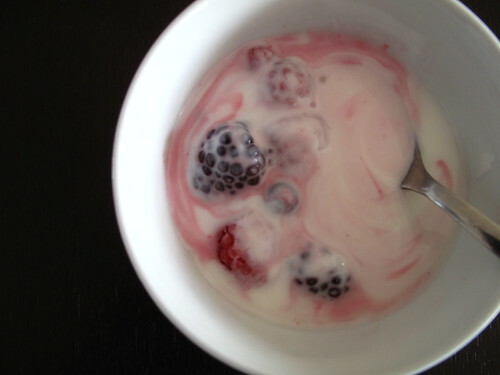 Frozen berries swirled in yoghurt. I bought frozen berries for the first time and they turned out unbelievably sour. So they are still in the freezer while I figure how to make them more edible. Sour berries fix. Try making a coulis out of the frozen berries. Small pot, low heat and a dash of water plus sugar. Sugar can be controlled by adding small amounts to taste. Quite a bit of water comes out of the berries so make sure not to add too much water at first. Sounds like a good solution. Thanks Joyce !